Look Ahead Victory! Strike Off! There has been a stunning eve-of-strike victory for Look Ahead Unite Members. After weeks of negotiation and an escalating threat of industrial action, with a seven day strike due to start on Thursday 9th July, members working in the four Hackney Look Ahead services were finally made an offer that they considered acceptable - and what a victory! 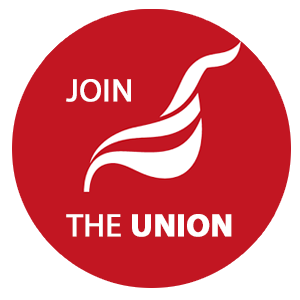 The offer included guaranteed redeployment or retention on current pay and conditions for those who wish to stay in service, enhanced redundancy for those who wish to leave, and trade union recognition for the Unite organised projects in Hackney (where, incidentally, membership is over 99%!). There will be no protest or picket lines outside Look Ahead. The branch congratulates the Look Ahead workers who have done an amazing job in halting this particular attempt at a race to the bottom. This victory shows what can be achieved when members stick together and have the confidence to make a stand - and if our members in Look Ahead can do it, others can too.